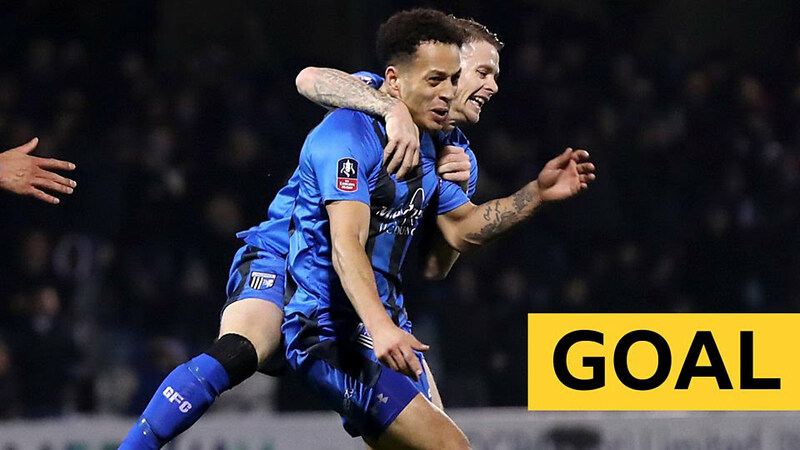 League One side Gillingham produced the biggest shock in Saturday’s FA Cup third round as they beat Premier League Cardiff City, while Championship Bristol City knocked out the top flight’s bottom club Huddersfield Town. Holders Chelsea, record 13-time winners Arsenal and Manchester United were among the sides to make it through to Monday’s fourth-round draw. Two Championship teams suffered defeats at the hands of opponents from lower divisions, with Norwich beaten 1-0 at home by Andre Green’s late goal forPortsmouth and Accringtonovercoming Ipswich 1-0 through Billy Kee’s strike. Elliott List was the hero with an 81st-minute winner as Gillingham,19th in the third tier, beat the 2008 finalists Cardiff, 17th in the Premier League table. Huddersfield were knocked out by Josh Brownhill’s 72nd-minute winner as Bristol City, who reached the semi-finals of the League Cup last season, made it through. Alvaro Morata scored twice asChelsea beat Championship sideNottingham Forest 2-0, but Cesc Fabregas, who is reported to be joining Monaco in the January transfer window, missed a first-half penalty. There was no upset at Bloomfield Road, where Arsenal overcame League One Blackpool 3-0, with two goals scored from 19-year-old Joe Willock and another by Alex Iwobi. The attendance of 8,995 – including 5,218 Gunners fans – was well below capacity as home supporters stayed away in protest against club owner Owen Oyston. 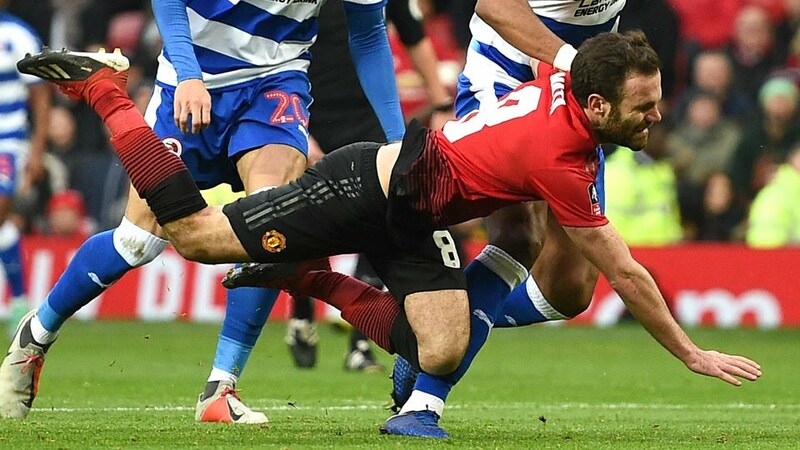 A penalty by Juan Mata – awarded after consulting the video assistant referee – and Romelu Lukaku’s third goal in as many games proved enough forManchester United as they beat their Championship Reading 2-0 at Old Trafford. FA Cup: Goal, no goal or penalty – did VAR get it right? Former Gillingham midfielder Bradley Dack put Blackburn ahead at Newcastle, 15th in the Premier League, before the home side forced a replay at Ewood Park after Matt Ritchie’s late equaliser. League Two Grimsby were minutes from earning a replay against Crystal Palace – despite playing with 10 men for 88 minutes after Andrew Fox was sent off – before Jordan Ayew struck with a late winner. Nathan Redmond had putSouthampton 2-0 up againstDerby County, but Frank Lampard’s Championship side fought back with Tom Lawrence scoring the equaliser to earn a replay at St Mary’s. Everton survived a scare against League Two leaders Lincoln Cityto win their first FA Cup tie since March 2016, with Ademola Lookman and Bernard giving the Toffees a 2-1 win. The first goal of the day was scored by Marko Arnautovic against Birmingham City – and it set West Ham on their way to a 2-0 win, with Andy Carroll also on the scoresheet and Samir Nasri making his Hammers debut. Eeague One Barnsley were moments away from a replay at Premier League Burnley – but the hosts were awarded a 90th-minute penalty, allowing Chris Wood to send the Clarets through 1-0. Earlier in the tie, Burnley had a penalty decision overruled by VAR just as Matej Vydra was about to take the spot-kick. 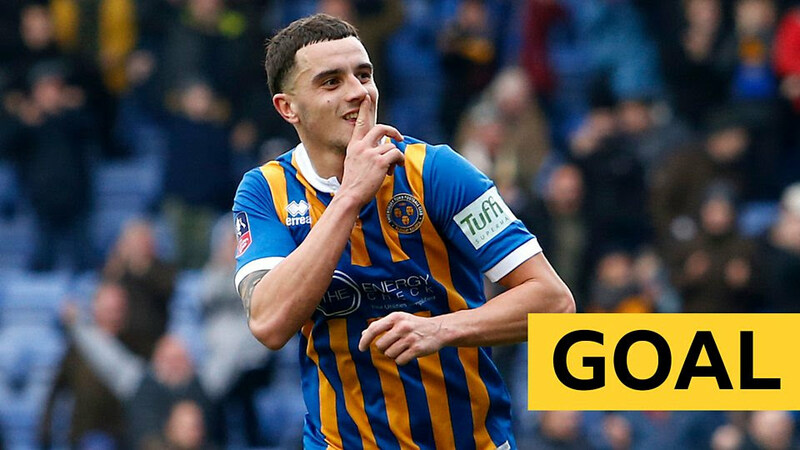 Elsewhere, Shrewsbury – 16th in League One – took the lead at home to Championship side Stokethrough Oliver Norburn’s penalty. However, 37-year-old Peter Crouch, an FA Cup winner with Liverpool in 2006, earned the Potters a replay with a 78th-minute equaliser – four minutes after coming on as a substitute. Wigan, quarter-finalists last season after knocking out Manchester City, are out after Bakary Sako’s goal helped West Brom win an all-Championship tie 1-0 at the Hawthorns. League One Luton earned a replay after holding Championship sideSheffield Wednesday to a goalless draw at Hillsborough. Swansea came out on top in their all-Championship tie with Aston Villa winning 3-0, whileMiddlesbrough thrashed League One Peterborough 5-0. Elsewhere Bolton beat Walsall 5-2,Brentford were 1-0 winners against League One strugglersOxford United and AFC Wimbledon beat Fleetwood 3-2 in an all-League One match-up.